I am sweating in an airy warehouse with exposed brick and beam, filled with lithe people effortlessly keeping up with our fast paced instructor- and I am loving it. A girl in the back row with me and I exchange glances like, “Crazy, right?” as we sip our water and then jump back in. Welcome to barre fitness at the Extension Room. I was under the impression that this would be a gentle workout that would somehow make me look like a ballerina. (Go figure.) I should have known better. Being a ballet dancer is hard work! Have you ever looked at a ballerina? They are incredibly fit. 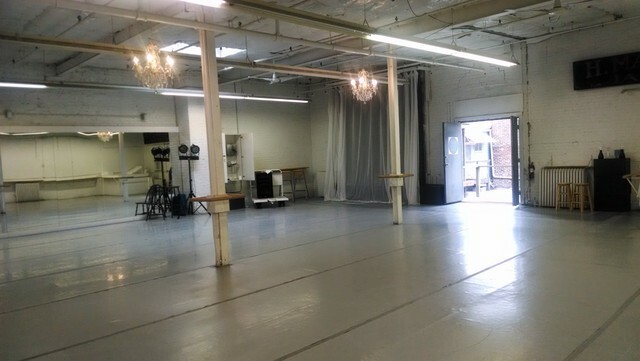 The extension room was founded by Jennifer Nichols- who is a professional dancer and fitness specialist. The workout is more than just your typical barre workout. Here, classes focus on the Extension Method.™ This combines classical ballet moves with contemporary athletic conditioning and is designed to give you the strength, posture and sculpted physique of a dancer. The class I chose is Allegro Ballet Boot Camp class that is done away from the bar. Jennifer leads the room through a series of fast paced exercises involving first position, second position, grandes-piles and even some spins. This workout is done away from the bar. It’s such a great workout that really works all of your muscles. You are encouraged to go at your own pace and to use the bar only if you reallllly need it for support. I tried not to. Movements can be modified to your fitness level. The class ends with a cool down and stretches on yoga mats. By the end of it, my thighs are screaming, but I feel satisfied. The many regulars love the Extension Room. They come twice a week to daily- and they have the bodies to prove it. The workout is best done in bare feet. I dislike doing it in bare feet, so I opt to wear slipper socks. 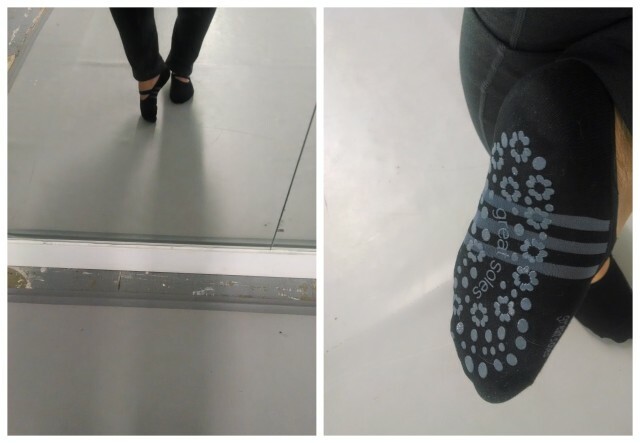 I used these cute ballet slipper socks from Great Soles. Only $12, and they have a great grip! I like them much better than the yoga toe socks I was using before. They allow a bit more of your foot to breathe! There are class times for every schedule, from morning at 10:30 am, to right after work at 5:30 pm (my preference) and classes that are later in the evening. Drop in classes start at $20 a class, but you can also get unlimited classes or 10 class passes. Take a look at their class list! They also offer special workshop classes on occasion. If you’ve been looking for a new, fun workout then you need to try the Extension Room!